The clever new 80s-themed video ends with Wolfhard returning to his bedroom desk to reconsider alternatives to his band’s moniker, Avant Garde. They include Weezer and Finn’s side project band, Calpurnia. In the final scene, the young star – as the Weezer frontman – turns the page of his scrapbook and scribbles the iconic Weezer ‘W’ symbol. 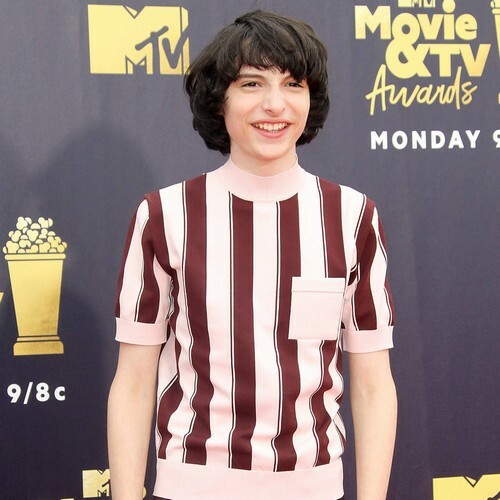 Finn’s love of Weezer was clear when he and his band chose to cover the Buddy Holly hitmakers’ Say It Ain’t So as a Spotify exclusive. The a-ha track features on Weezer’s new covers record The Teal Album, which also includes the band’s take on Toto’s Africa, The Turtles’ Happy Together, Everybody Wants to Rule the World by Tears for Fears, and Sweet Dreams (Are Made Of This) by The Eurythmics. The album rocketed into America’s top five at the weekend, reaching number one on Billboard’s Top Rock Albums and Alternative Albums charts.